That evening at five, there was not a single empty seat at the Champakvan Auditorium. Everybody was eager to find out what this once in a lifetime opportunity was. The crowd settled down as Baddy, the fox walked across the stage and stood at the mic. “Animals of Champakvan, human beings have always been a step ahead of us animals since time immemorial. But, as their population increases, humans are running out of space and resources. As a solution to this, they intend to start a new life on Mars. While only plans have been made, a select few humans will be sent to Mars via rocketship in the coming years. What if I told you that today, animals are ahead of humans?” said Baddy. The audience was abuzz with excitement as they spoke amongst themselves. “Dr. Crocky, the crocodile, will explain things in more detail,” said Baddy and stepped off the stage. “Dear animals,” said Crocky. “If we would like to ensure a safe future for our future generations, we must move too. Fortunately for us, we have not only picked the planet we will relocate to, we have also built the spaceship that will take us to our future home. “We have been studying the planet Robo for almost 15 years. 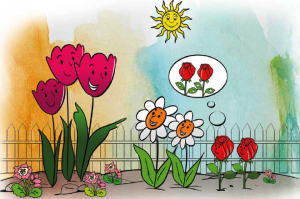 The planet is very much like earth there are a lot of forests with enough space for us to establish a new home. The weather is always mild there, along with a lot of trees or forest land, there will also be no humans,” said Dr. Crocky. “But won’t this scheme cost a lot,” said Blacky, the bear. “No, it won’t,” replied Crocky, “the registration fee costs only 1000 rupees, and the rest is being handled by us.” Upon hearing this, the animals got excited and 600 of them registered their names on spot. “The animals who have registered will be sent to planet Robo, but first all the smaller animals will be sent as they are lightweight and good to go for the first time. The members of our ‘Mission Robo’ team will also go with them to settle them down,” said Crocky. In some time, the list of animals was released. The list included Meeku, the mouse, and 19 other small animals, like lambs, rabbits and sheep. “These animals should come to the Champakvan ground tomorrow where our rocket will be parked, they will be sent to planet Robo in the rocket,” said Baddy. 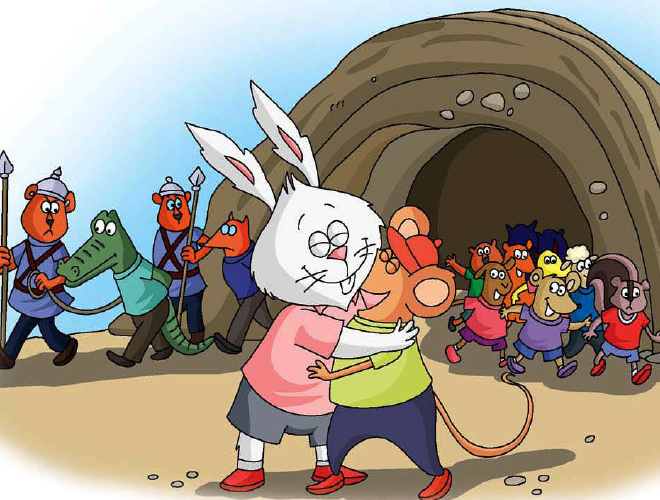 When Meeku, the mouse broke the news to his friends, they were very happy for him. 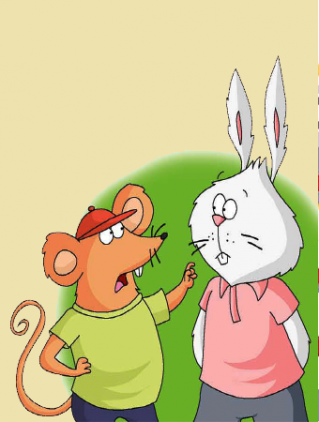 But his friend Cheeku, the rabbit, felt that something fishy was going on. When he asked Meeku questions about the mission, Meeku grew annoyed. “You’re just jealous that I got the opportunity to go a new planet and you didn’t,” he said and stormed off. The next day, a huge crowd had gathered at the forest grounds. Off in the distance the animals could see a rocket. Meeku and the others were asked to board the rocket and Baddy began the countdown from ten to one. When he finished the countdown, smoke came out of the rocket and a blinding light shone over the animals watching. They were all blinded temporarily and when the lights were switched off, the rocket was gone. 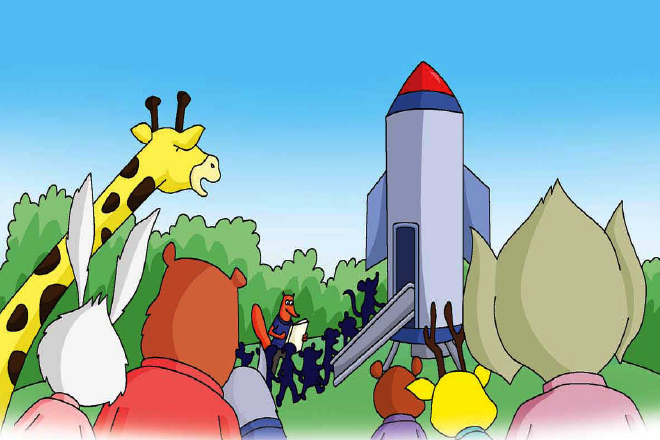 “Where did the rocket go?” the animals asked each other. “The rocket has been sent to outer space. It will reach planet Robo in four days. Once it lands, I’ll give you an update. Until then, I wish you good luck and good night,” said Baddy and left. Since Meeku had left, Cheeku had been feeling bad. A few days had passed when Cheeku’s friend Blacky came over. The colour drained from Cheeku’s face as he looked at the cap. “Meeku was wearing this cap when he boarded the rocket to planet Robo. What is it doing here at Champakvan?” he asked. The only person who could give him answers now was Baddy and Cheeku went straight to his office and demanded to speak to Meeku. “Meeku’s undergoing training. I just spoke to him a few minutes ago and he said that everybody was fine. He even asked me to give you his regards,” said Baddy and smiled from ear to ear. 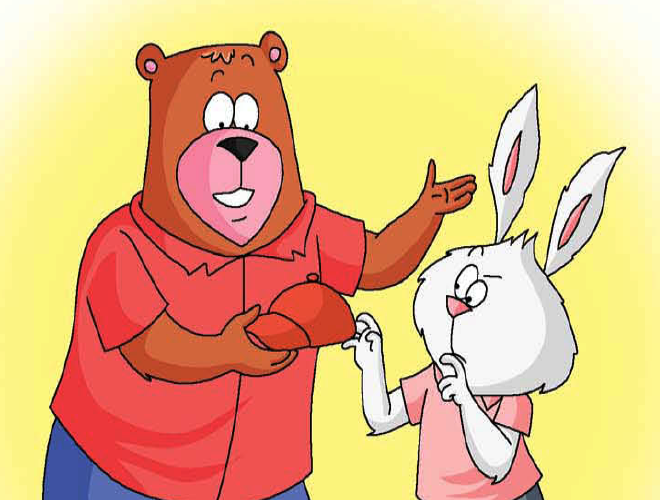 Cheeku realised that the only solution was to expose Baddy and Crocky. With the help of his friends Blacky, Jumbo, the elephant and Titu, the butterfly, they kept a keen eye on Baddy and his office. 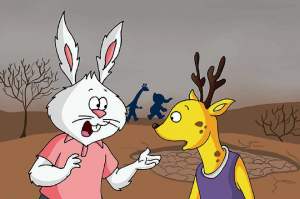 A few days later, Cheeku and his friends met to discuss what they found. “Every night, Baddy and Crocky go to the cave by the riverside and don’t come out till dawn. Something fishy’s definitely going on in there,” said Blacky. “My friends just told me that there was a hole under the rocket’s launch pad. They told me that a team of moles had been digging a tunnel from there leading to the riverside for over a month,” said Jumbo. 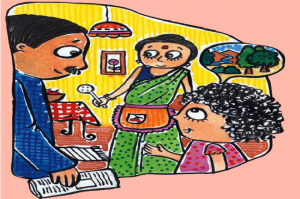 The four of them went straight to Shersingh and told him everything. Shersingh considered the evidence and was convinced. He ordered his guards to surround the cave’s entrance and asked Baddy and Crocky to surrender. Seeing the guards, they surrendered on the spot and confessed. “The entire mission was a lie. We only did it to catch animals easily,” said Baddy. “Once the animals were put in the rocket ship, we knocked them out with chloroform. Instead of sending the rocket up, we sent it down and to the cave. The animals have been our prisoner all this time,” said Crocky. The king ordered the guards to go into the cave and release the animals. When Meeku came out of the cave, Cheeku was relieved to see his friend safe and sound. Meeku hugged Cheeku and apologised. He promised to always think twice before making a decision.